The pronghorn antelope is the second fastest land mammal in the world, with the ability to reach speeds of more than 53 miles per hour. Hunters from around the world pursue antelope on the plains of western and central North America. After a successful antelope hunt, they prepare the meat -- commonly referred to as venison -- in a variety of ways, including sausages, jerky, steaks and roasts. Grilling a lean antelope steak, however, is one of the most delicious and easiest ways to cook venison. Cut the antelope loin into 1/2-inch steaks. Rub the antelope steaks with olive oil and sprinkle each side of the steaks with the salt and black pepper. The oil helps to prevent the meat from drying out while cooking. Preheat the grill to high and oil the grates to prevent the meat from sticking. Place the antelope steaks on the grates about 6 inches from the heat source. Cooking time will vary based on the thickness of the meat; cook a 1/2-inch steak for five to six minutes before turning. Use tongs to turn the antelope steaks and avoid turning them more than once. 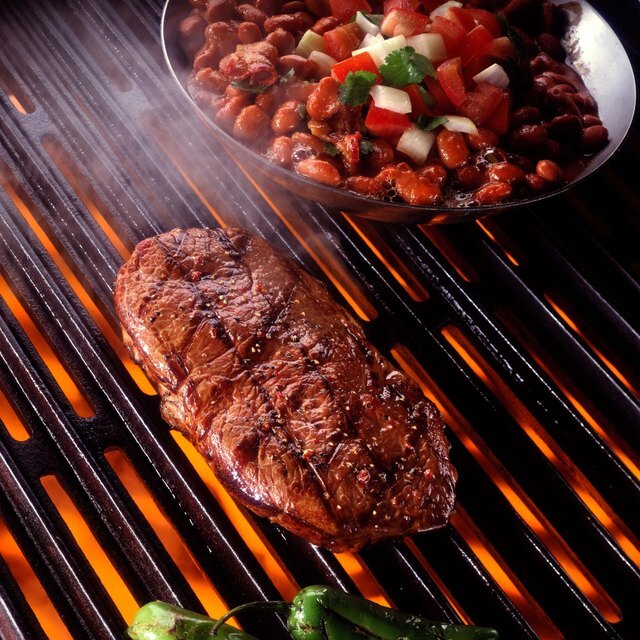 Brush the antelope steaks with olive oil while grilling to prevent the meat from drying out and sticking to the grates. 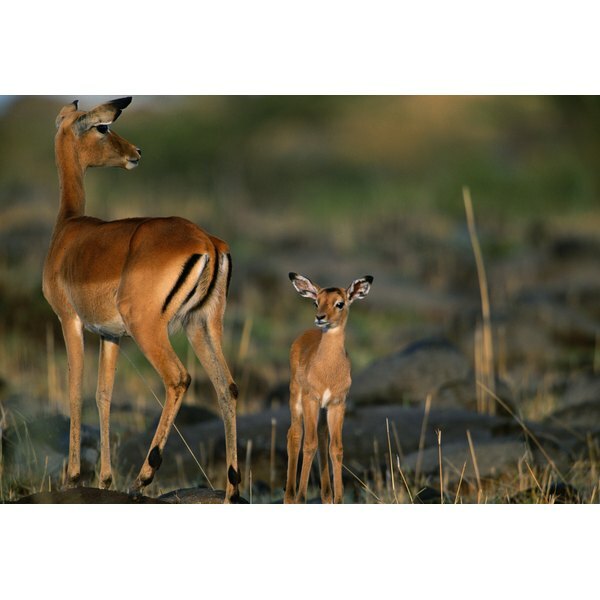 Cook antelope to an internal temperature of 120 degrees Fahrenheit. This temperature provides a medium-rare center, leaving the meat juicy and tender. Remove the antelope steaks from the grill and serve immediately. Let the meat rest for a few minutes, but not for longer than 10 minutes or it will become less tender. The loin is the most tender and flavorful cut,but you can also use pieces of antelope from the hind quarter. Roast or smoke antelope, if you prefer. When roasting, cook to an internal temperature of 180 degrees Fahrenheit. To marinate antelope, pour your favorite steak marinade into a bowl or sealable plastic bag and combine it with the antelope steaks. Place the marinating steaks in the refrigerator for six to eight hours before grilling. Never overcook antelope meat. To prevent overcooking, use a marinade or olive oil while watching for the optimal internal temperature.